Natalie Portman has said her due date is sometime this summer.But a little birdie in our ears in saying Portman is really due this spring. But regardless of due dates, we are loving the bump watch on Natalie--it gets cuter all the time! 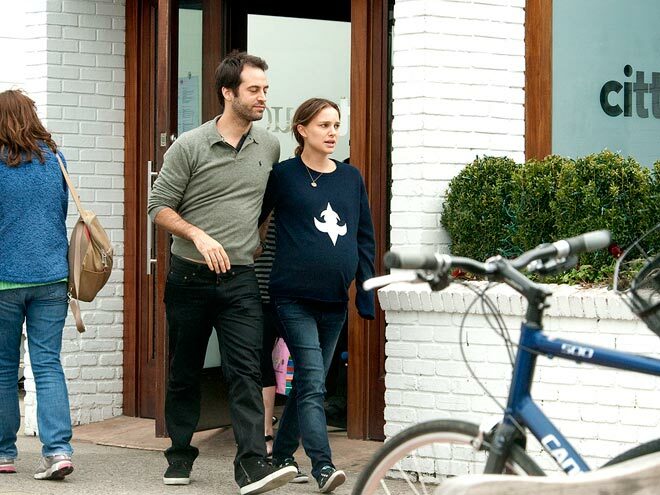 The Black Swan actress and her baby daddy, Benjamin Millepied, were spotted Friday as they left CittaNuova in East Hampton, N.Y. after getting a bite to eat.